Workdays in a dental practice can be long. Sometimes, it’s even hard to squeeze in a proper lunch between visits. A short break for a healthy snack can be the savior that gets you through the day. Here are seven snacks that are both healthy and tasty. Healthy snacks offer lots of health benefits, least of which is keeping your blood sugar levels stable. Large spikes or dips in your blood sugar levels could make you less focused. Over time, these ups and downs could lead to serious health issues like diabetes, uncontrollable weight loss or weight gain or even heart disease and high blood pressure. To promote stable blood sugar levels and a healthier lifestyle, healthy snacks are crucial in providing your body with important nutrients. 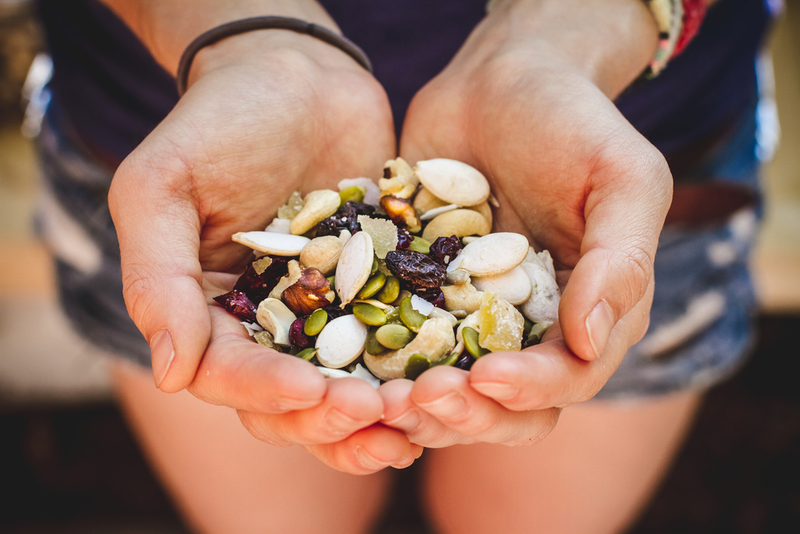 So, as a ground rule, your snacks should primarily consist of nutrient-dense foods like fruits, vegetables, whole grains, low-fat dairy and nuts or seeds. South American Acai berries are ranked high on the list of the world’s healthiest berries. They contain a whole lot of benefits, including a high number of antioxidants. The berries often come in freeze-dried powder form, making them perfect for smoothies. The smoothie bowl is as easy to make as any other smoothie, but it’s creamier, and you eat it from a bowl with a spoon. The trick for a perfect smoothie bowl is in the blending. 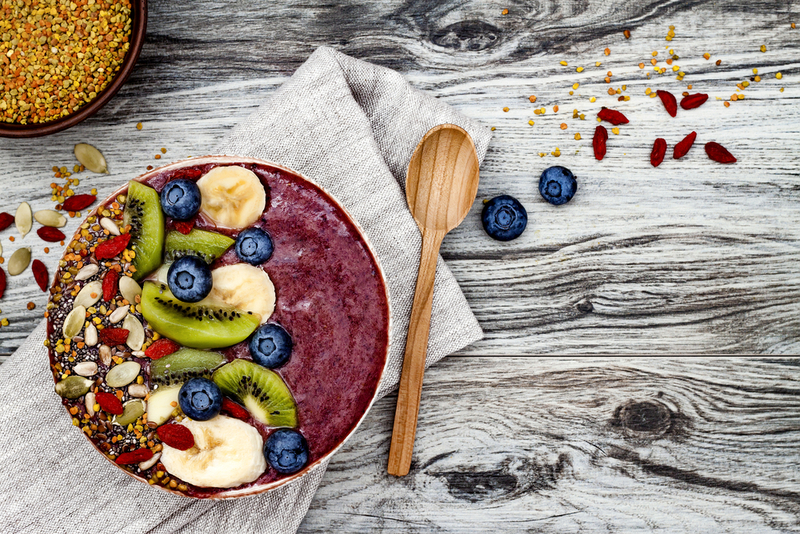 Simply add frozen bananas, frozen mixed berries, liquid (e.g., almond or coconut milk) and finally the acai in blender and, most important, blend on low speed. The texture of the acai bowl should be a bit like frozen yoghurt. Then it’s all about being creative with the toppings, like granola, coconut or fresh fruits and berries. Seeds are full of nutrients such as dietary fiber, proteins, minerals, vitamins and fatty acids. Pumpkin kernels, sunflower seeds, melon seeds, hemp seeds, psyllium seeds, sesame seeds and maybe chia seeds—choose your favorites and create the perfect mix. Just make sure to drink lots of liquids, as some seeds could swell in your stomach, leading to constipation. Hummus, a classic snack dip, is not only filling but also rich on calcium, iron, protein and fiber, according to this article from the National Institutes of Health. Cut up your favorite vegetables, like carrots or apples, into sticks and you have a perfect snack. The fro-yo fruit bites make the perfect healthy any-time snack. Add yogurt, milk, honey and vanilla to a bowl and whisk. 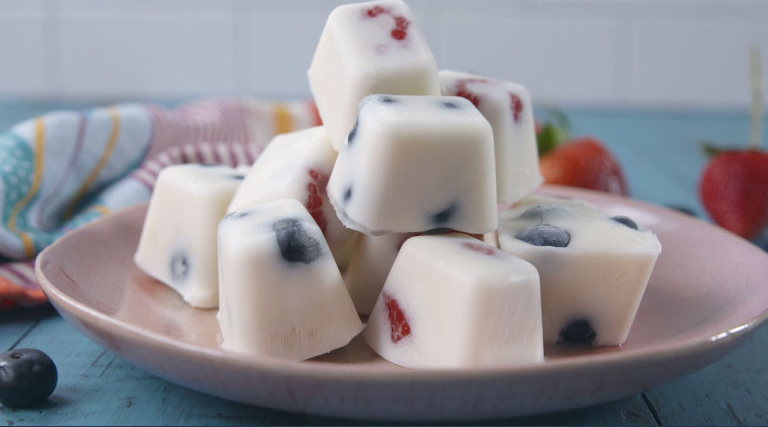 Take an ice cube tray, add a mix of berries and fill them up with the yogurt mix. Freeze for five hours and you’ve got about 15 tasty bites of fro-yo. Maybe not a new and innovative snack, however, eggs are considered one of the healthiest foods on the planet, according to this article. Rich in protein, they add an increased sense of fullness, so you can last until dinner. Also, eggs are easy to take with you and store. Yes, you read it correctly. A study published in the Journal of Psychopharmacology reported that a small amount of dark chocolate with a high percentage of cocoa, has several health benefits. 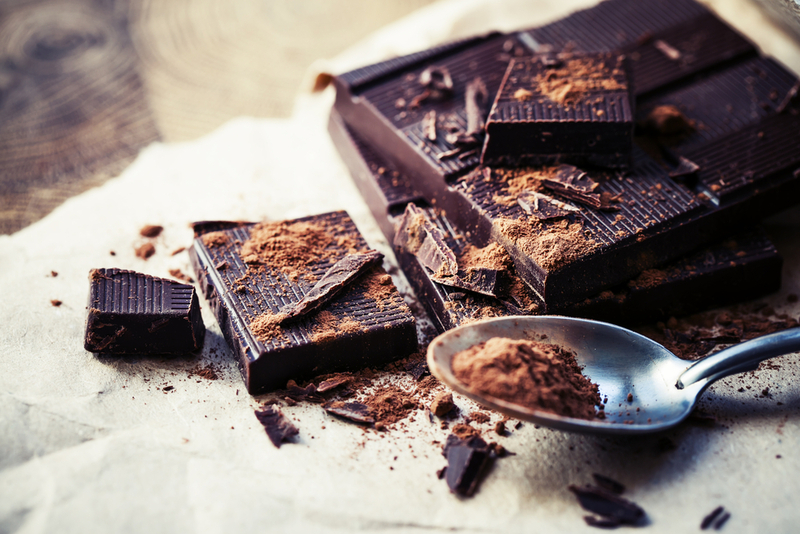 Dark chocolate is filled with minerals like iron, zinc and selenium. Studies have shown that people who ate a little bit of dark chocolate each day lowered their blood sugar and cholesterol levels. Chocolate also contains antioxidants flavanols that increase blood supply to the part of the brain where memory function is located. In addition, chocolate is considered to promote happiness and a sense of well-being. Slicing an avocado at your desk doesn’t sound appealing, but chew on this: avocados are ultra-portable because they’re packed in their own little carrier case! Use the creamy fruit as a salad topper, or eat it solo with spices. One small avocado contains 220 calories, 9 grams of fiber, potassium, vitamin B6 and vitamin C, making it super nutritious and filling. 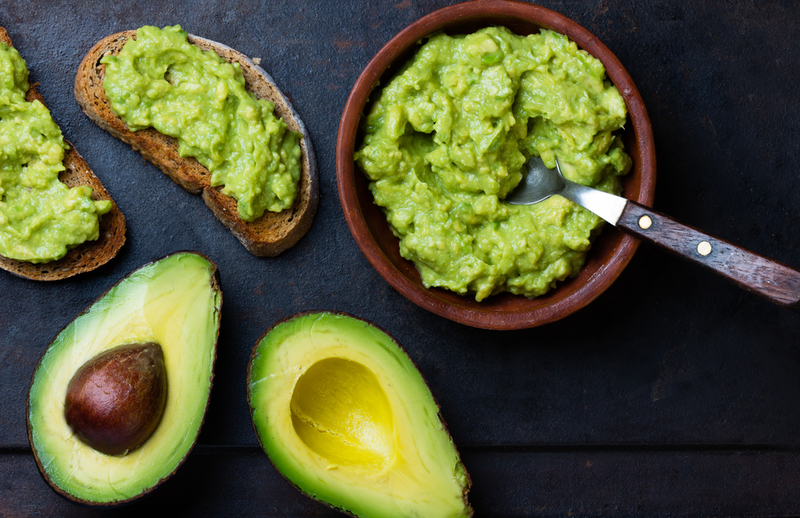 Medical News Today lists 12 more health benefits of the avocado. To snack, or not to snack, has been a matter of discussion for a long time. Luckily, this topic is continually being researched. The overall conclusion is that snacking is good—if you choose the healthy snacks and don’t forget to brush your teeth afterwards.